This is located at Rory Gallagher Place. I had noticed this before but as I had thought that it related to the Rory Gallagher memorial nearby it did not read the inscription. 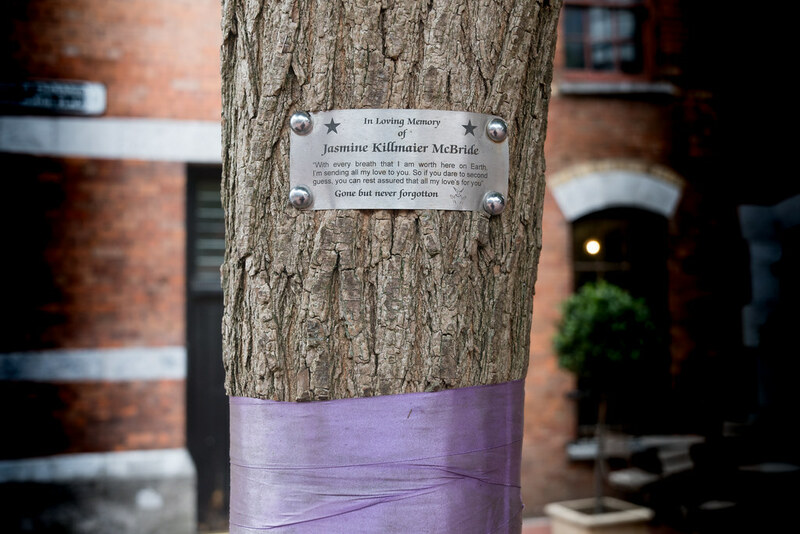 Jasmine Killmaier, aged 18, from Ferney Close in Mahon, Cork, died as the result of a fall from the roof of an apartment block in Cork City at about 6.45am on July 27, 2010.